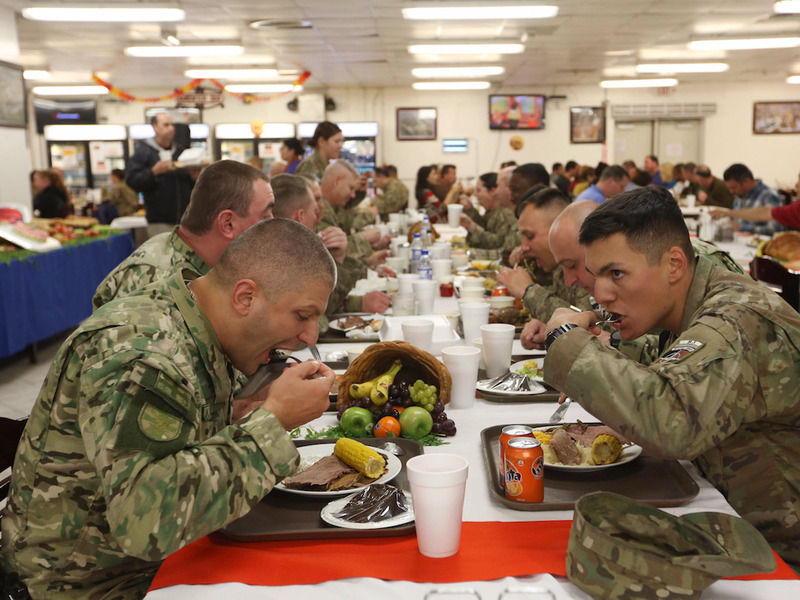 For America’s troops, being deployed to a warzone is no excuse for missing out on Thanksgiving celebrations. 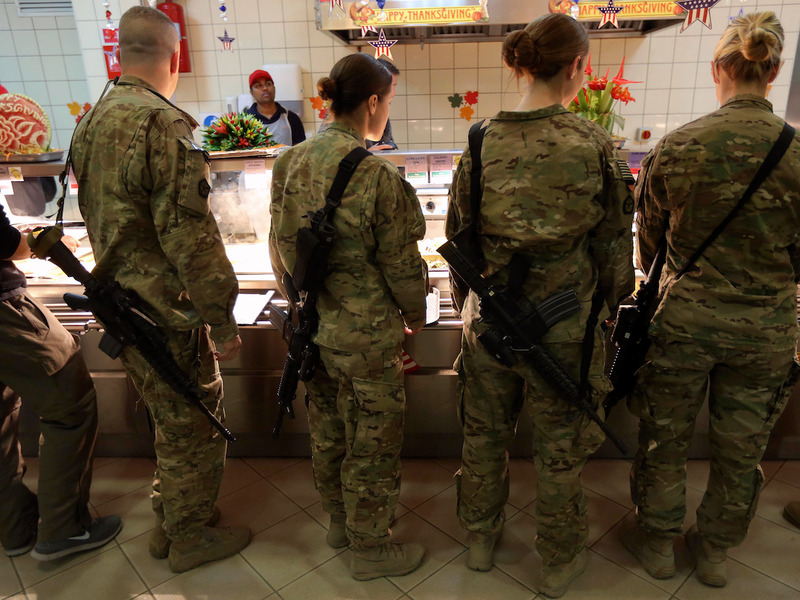 Even when stationed in far off countries like Iraq and Afghanistan, America’s military service members still get their turkey and stuffing. Soldiers take the day to relax, enjoy some food, and play football. 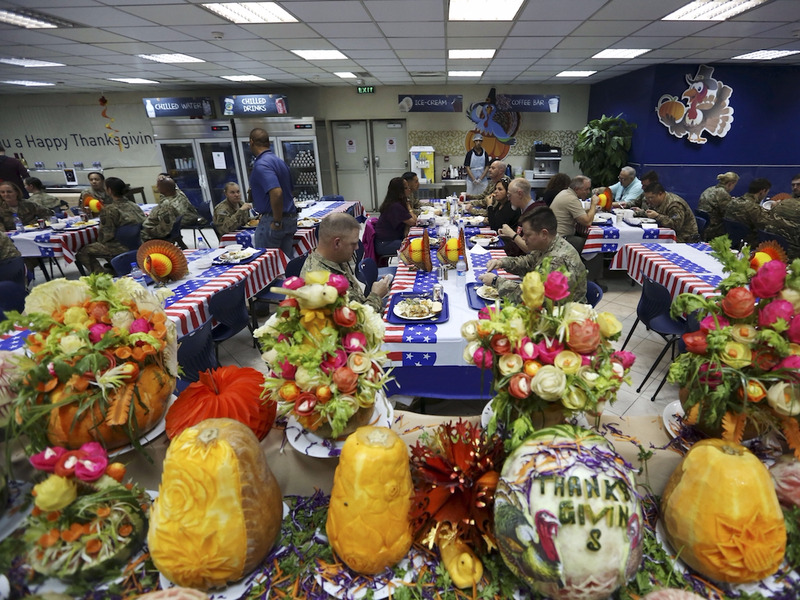 For troops in Afghanistan, Thanksgiving dinner has been in the works for months. Food, as well as sparkling grape juice, is ordered and shipped up to four months in advance. 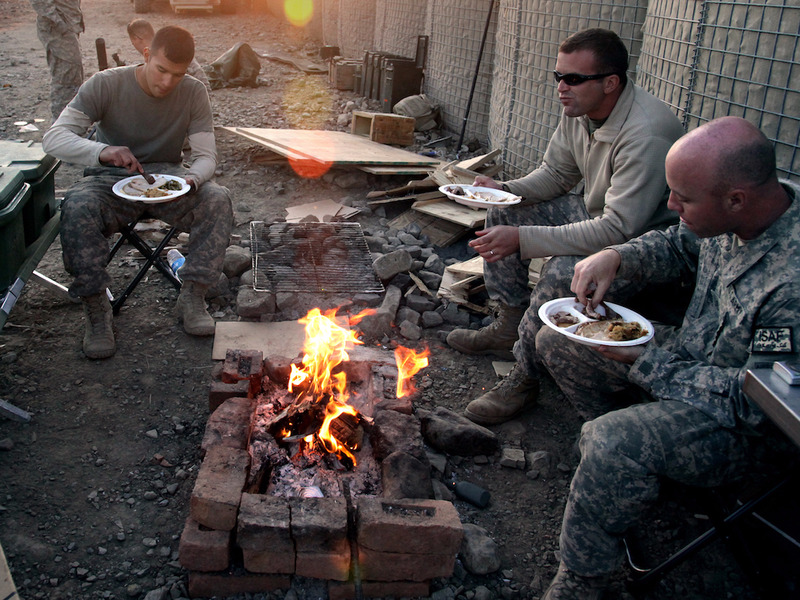 Despite being deployed to warzones, large military bases will usually hold a Thanksgiving feast for the soldiers, such as this one in Camp Eggers, Kabul, Afghanistan in 2011. 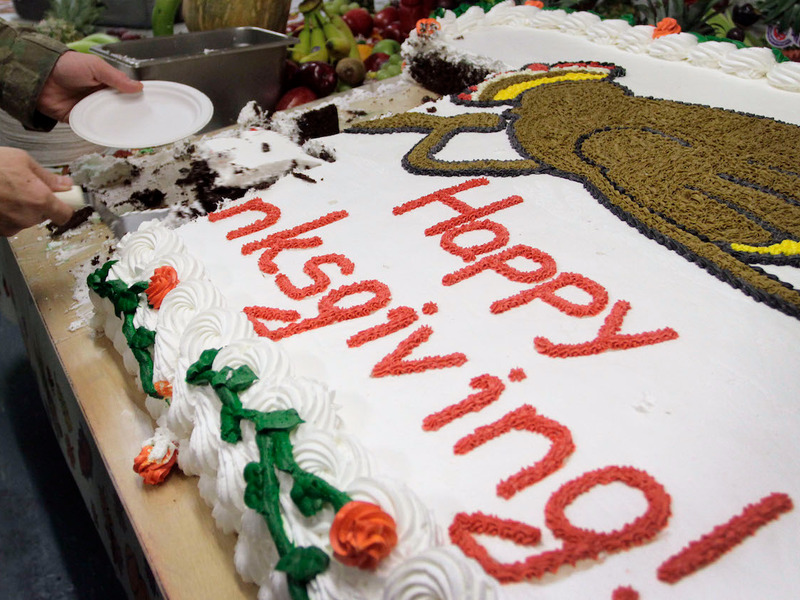 Military personnel and civilian contractors are all treated to Thanksgiving buffets made by fellow servicemen. Military bases are decorated to look more festive for the holiday, like this display at ISAF headquarters in Kabul, Afghanistan in 2014. Some soldiers celebrate by decorating themselves. 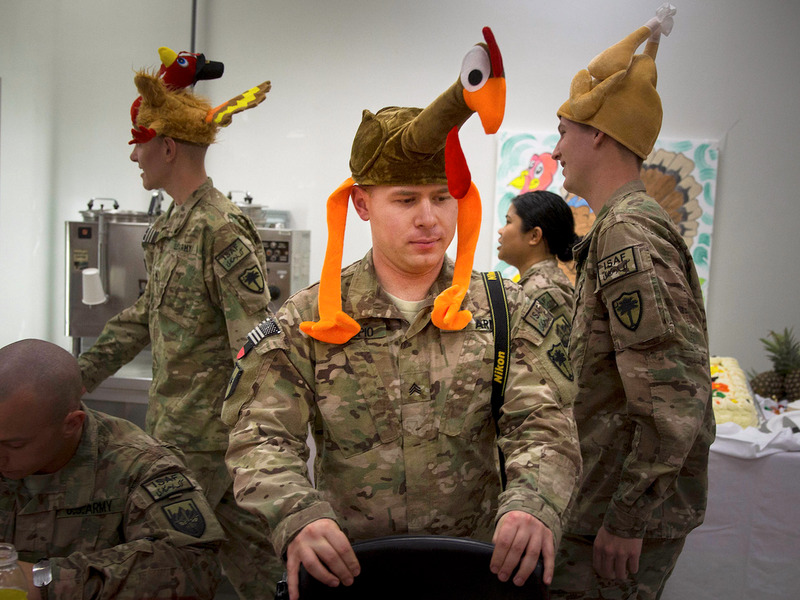 Here, US soldiers wear turkey-shaped hats as they attend Thanksgiving dinner at their base in Kabul, Afghanistan in 2013. But soldiers still carry their weapons with them, just as they would any other day in a warzone. Even at smaller combat outposts, Thanksgiving dinner is essential. Of course, there are football games on Thanksgiving as well. 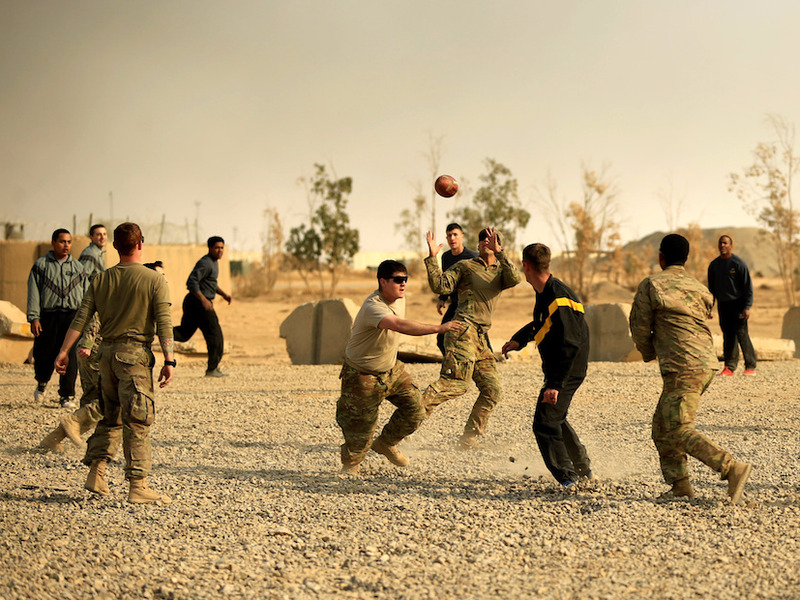 Here, US soldiers play a game of football on Thanksgiving Day inside the army base in Qayyara, south of Mosul, Iraq in 2016. 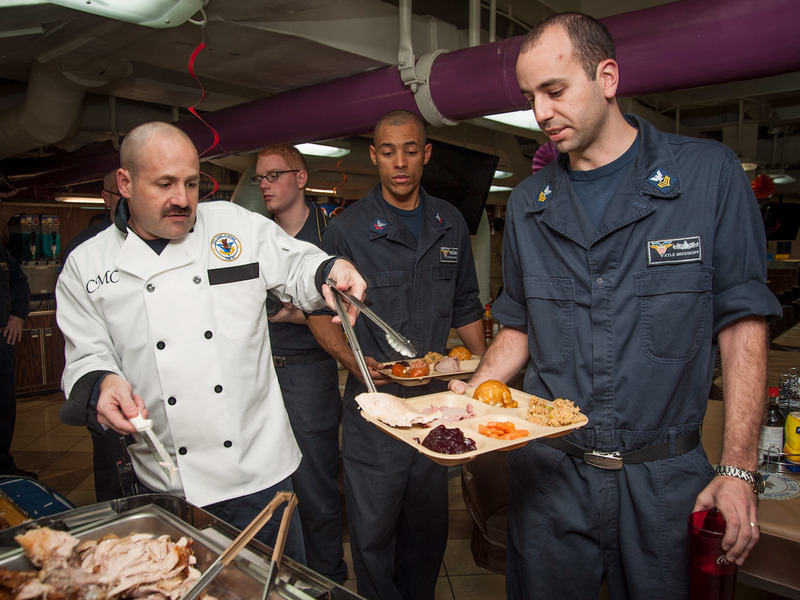 The Navy provides Thanksgiving turkey for crew members out at sea. 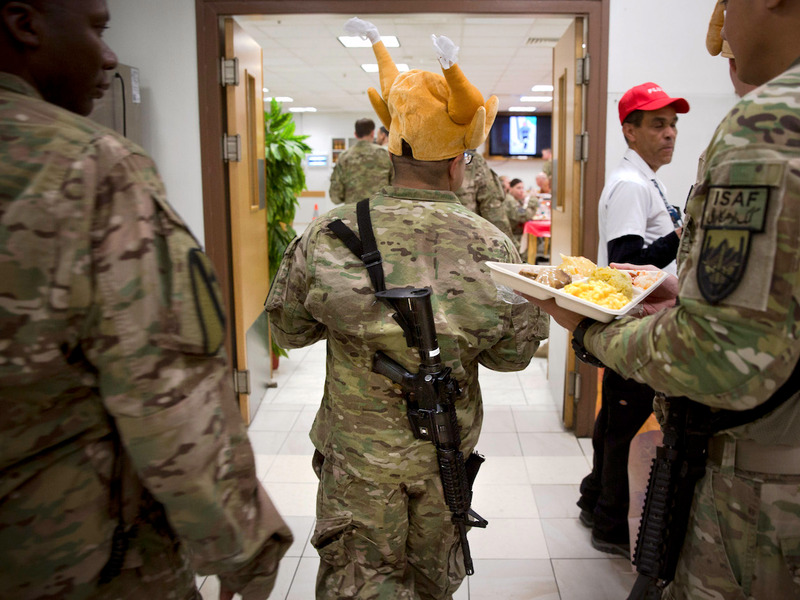 American troops are not the only ones who enjoy the Thanksgiving festivities. 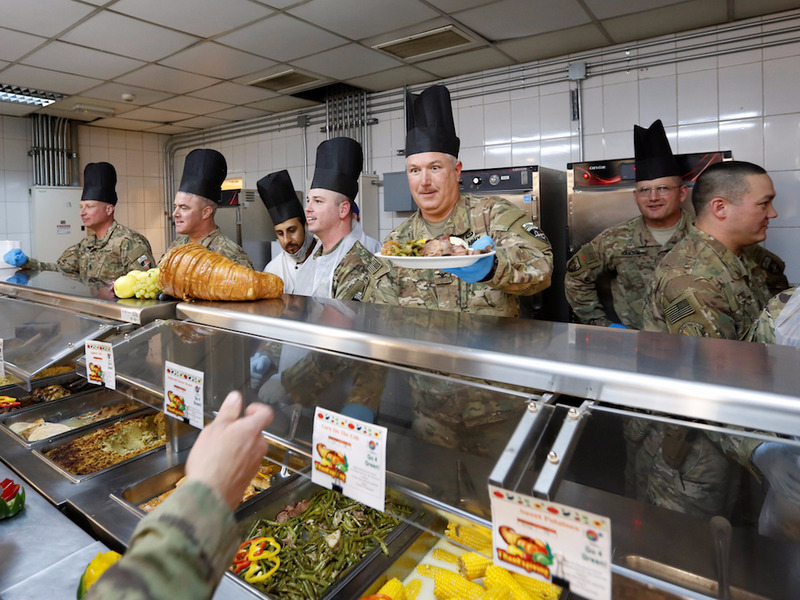 Georgian soldiers, part of NATO forces stationed in Afghanistan, join in on Thanksgiving dinner.